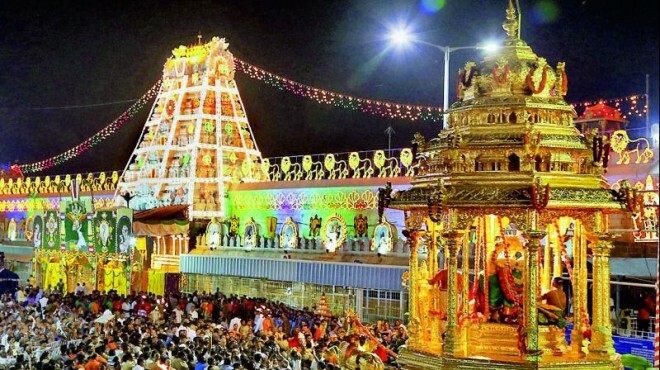 Hyderabad, Mar 06: Raising objection to the VIP darshan system at Tirumala Tirupati Devasthanam, two advocates have contended that such arrangements are basically infringement of the Right to Equality and discriminatory. Advocates Umesh Chandra PVG and Somasekhar Vaddi on Tuesday submitted a representation to the Executive Officer of TTD against grant of VIP darshan to a few dignitaries in the categories of L1, L2 and L3 and stated that such categorization amounts to blatant infringement of a fundamental right of Right to Equality guaranteed by the constitution of India. In the representation, advocates further submitted that the fundamental principle of theology says all are equal in the eyes of almighty and, therefore, no practice which is discriminatory would not have been sanctioned by him or by Dharma Shastras. They further prayed that this practice curtails individual's Right to Freedom of Religion as categorisation of people on the basis of class deprives certain sections from offering prayers to the deity in the closest possible vicinity which the privileged classes under L1, L2 and L3 are allowed to perform. The advocates, in their representation, urged the EO to take appropriate action against this discriminative practice failing which they would approach the High Court of competent jurisdiction for requisite redressal.